Defender who signed with the St. Louis Blues in 2012 after four seasons with the Calgary Flames. He was named the NHL All-Rookie team after being drafted third overall by the Florida Panthers in 2002. He was named the World Championship Best Defenceman, while helping Canada secure a World Championship title in 2003. He has an older sister named Jill. 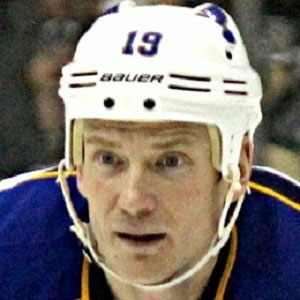 He joined Vladimir Tarasenko on the St. Louis Blues in 2012.